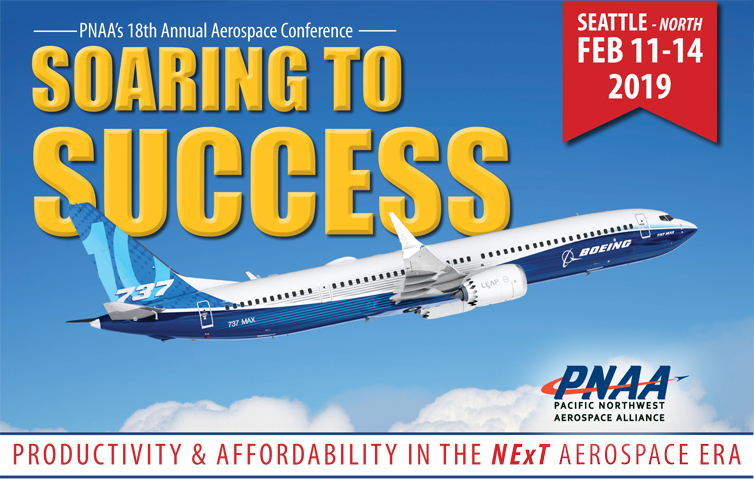 The OAC invites you to participate in the annual Pacific Northwest Aerospace Alliance (PNAA) Conference, offering a unique opportunity to identify new business opportunities and partnering possibilities. It delivers vital industry intelligence and analysis about the aerospace marketplace and supply chain in a venue hosting hundreds of executives from leading aerospace companies from around the world. The 2019 conference examines the latest developments in next-generation affordability and productivity that can set you apart from your peers, enabling you to step up to requirements on quality, delivery and cost while simultaneously strengthening your own capabilities and growth potential. At the interactive three-day conference, you’ll get to hear from industry experts, learn from companies at the head of the pack and engage in numerous executive networking and B2B opportunities. Support for the keynote conference lunch provides a high impact opportunity to present the Ontario Delegation to the audience, including a promotional Ontario participant PowerPoint slide presentation and in the Ontario PNAA Participant Directory distributed at that time. The conference provides numerous opportunities designed to facilitate meeting and networking with OEM and supplier executives involved in aerospace manufacturing, purchasing, logistics, information systems and technology, engineering, etc. An invitation to the International Reception on the evening of Monday, February 11th. An invitation to the private Ontario Dinner featuring a number of notable industry guests on Tuesday, February 12th from 6:30 pm - 9:00 pm. Purchase your ticket during registration. Boeing Plant site visit (available at extra cost directly through PNAA, click here). Please complete the Registration Form before January 22nd. Once your registration is confirmed, PNAA will be advised and you will be eligible for the PNAA Member Rate of $995 USD. Payment will be due immediately after confirmation of acceptance of your registration, you will be directed to use a link to proceed with your payment. Click on REGISTER above to purchase your ticket.